The online article has different text and photos: click here to view. 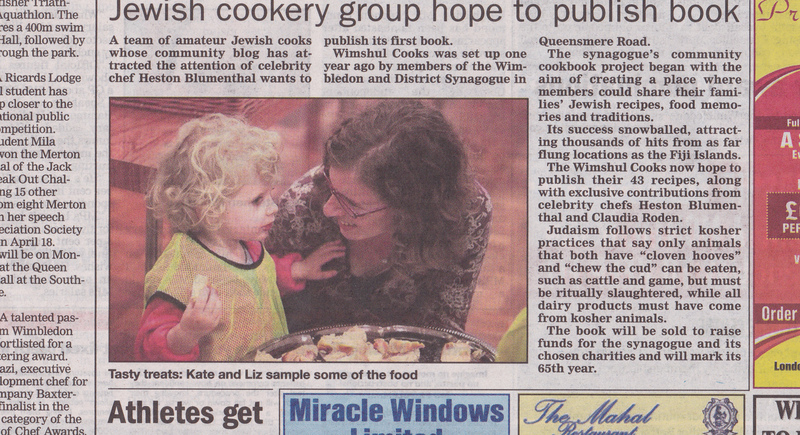 WimShul Cooks was featured in an article written by Victoria Prever in the Jewish Chronicle (JC) on 1st February 2013. 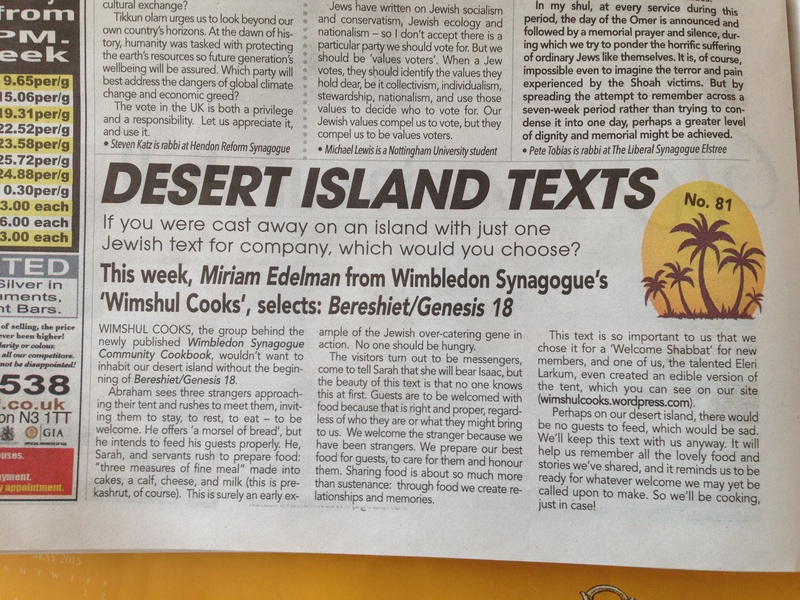 Click here to read the JC article and see the cake and cookie recipe.